P.O. 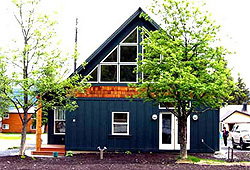 Box 2415 - Soo's Bed and Breakfast Seward AK is the perfect place to relax and enjoy yourself after a day of adventures in Alaska. Cozy comfortable rooms and full breakfast await you. Discounts on boat tour packages. Sack lunch upon request. 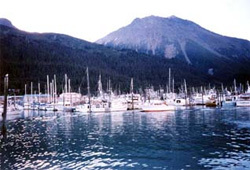 Soo's Bed and Breakfast is a fantastic full service Bed and Breakfast and is the perfect way to relax and enjoy the comfort, cleanliness, and wonderful service of a fine Alaskan Bed and Breakfast. Spend a few days relaxing or we also offer the convenience of staying in a one or two bedroom apartment with private entrance, kitchen living room and bathroom. This would be convenient for 2 to 4 people who would like the option to prepare their own meals and have a private place to stay for an extended period of time. Price Ranges $135 for 1 bdrm, $185 for 2 bdrm. Extra Guests for these rooms, additional fees will apply. Summer Lodging also available. Soo's Bed and Breakfast can also found in "Moon Handbooks: Alaska-Yukon by Don Pitcher." We can accommodate vegeterian needs. 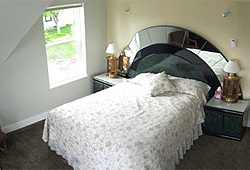 Rooms range from $125 to $135 has private bath & includes full breakfast. Price for 1 bdrm unit includes kitchen and private bath $135 per night breakfast not included. 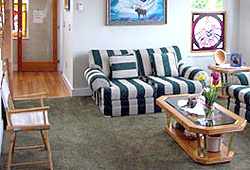 2 bdrm unit includes kitchen and private bath $185 per night breakfast not included. Discount for payment by Cash or Check. In addition to cash and check, we also accept money order, Visa, or MasterCard. Check-in: 4 - 8 p.m., unless prior arrangements are made. There is no charge if reservation is cancelled prior to three weeks before reservation date. If reservation is canceled or changed three weeks to three days prior to arrival the cancellation charge is 50% of total room(s) cost, unless room(s) are rebooked.